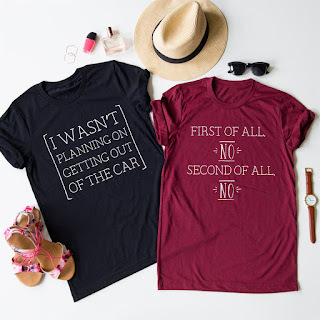 Love these Real Life Mom Tees for $13.99 (Retail $27.99). I'm gonna have to make myself one of the "I Wasn't Planning on Getting Out of the Car" Tees. $3.99 for the first item and $1.99 for each additional item. US only. Seller usually ships within 4 business days. Ships no later than Sun, Nov 4.